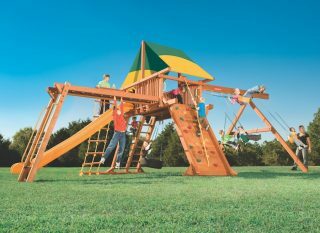 LARGE LUMBER – Outback 5′ playset includes a 25 sq. 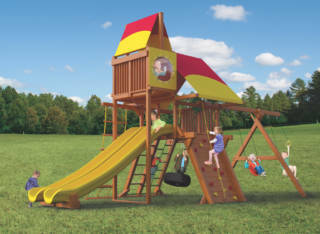 ft. fort, vinyl roof, three-chain tire swing, dual ladder, rock wall, rope rung ladder, monkey climber, 10′ slide, three-position swing beam, and accessories. 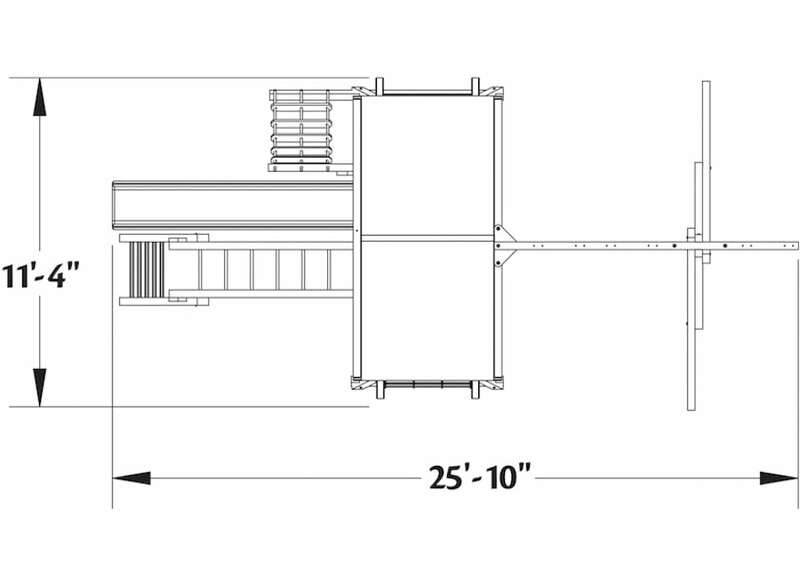 We do offer professional installation on the Outback 5′ (OB.5B). Please call us for more information. 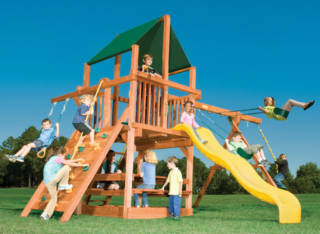 The Woodplay Playsets Outback (OB.5B) includes EITHER a Limited Lifetime (Redwood, lumber only), 15-Year (lumber only), and a 5-Year warranty.